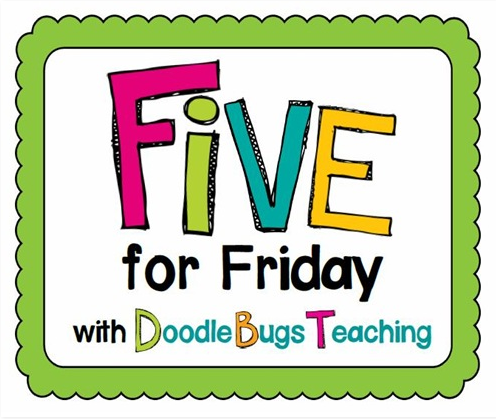 I'm so excited it's Friday and to be linking up again with Kacey at Doodle Bugs Teaching for her Five for Friday linky party. 1. There goes my paycheck! 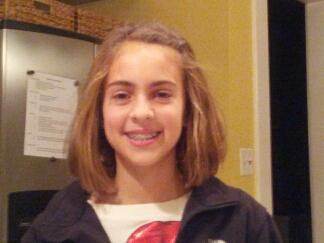 My youngest daughter got braces on Monday morning. 2. Four years ago my husband and I bought his parents' house. It's a beautiful house with all the character of the 1920s. However, our kitchen looks like it hasn't been touched since the '20s! We stripped the old wall paper a few years ago and painted the walls yellow knowing that the kitchen would need a total overhaul in the coming years (when we're not paying for braces). To make a long story short, I'm not a patient person. I couldn't stand the faux marble backsplash with the large crack any longer. 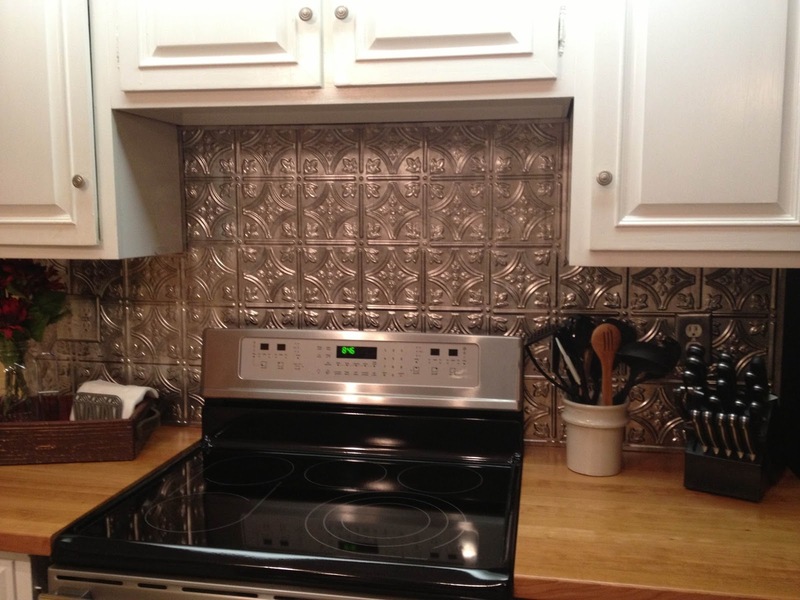 We decided to do a quick renovation and replace the backsplash with faux tin. I think it turned out very nice! 3. My school hosted educators from China back in October. They were very interested observing our style of teaching and we were very interested in hearing about their style. Our principal announced at a staff meeting this week that our Chinese visitors would like a team of 10 educators to travel to China this summer and teach two weeks of English at their school, ALL EXPENSES PAID!!! Of course I jumped at the chance to apply for this opportunity. It will be a few weeks before I find out if I'm chosen. Fingers crossed and hopefully there's more to come!! The Cassidy dress arrived yesterday and I couldn't be happier. In fact I was so happy that I immediately ordered it in another color as well. You'll have to check out their Winter's Last Blast sale! 5. Where is the snow???? 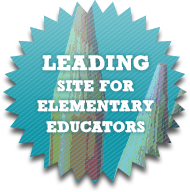 I have to admit that I have been very jealous reading about all the snow days other bloggers are having this week. It just doesn't seem right that we haven't had a bit of snow since we returned from Winter Break. I mean this is Indiana, we are supposed to have snow days!! I'm sure once the end of the school year gets here and we are not having to make up those missed days I'll be thrilled. But right now I WANT SNOW!!! Thanks for reading my random-ness from the week!! Enjoy your three day weekend! Oh, China! What an opportunity. Fingers crossed for you! We just got our first snow here in Virginia yesterday! It was so exciting!! Hope you get some soon! I love the new back splash! I'm tired of my kitchen, too. We still have wallpaper from the previous owners. Yuck! I love Athleta, too! Thanks for the heads up on the sale! 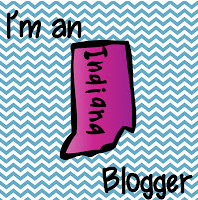 Love finding a fellow third grade blogger. I am your newest follower!! I found you through Doodle Bugs! 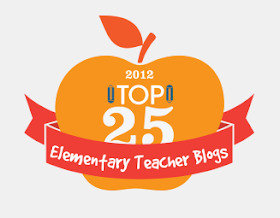 I love finding other upper grade blogs!! Your new backsplash looks great!! I love it!! China! Wow! What a great opportunity! My fingers are crossed for you! 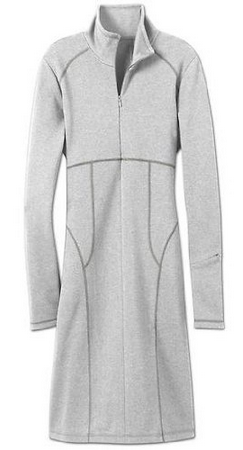 I'm going to have to check out Athleta. I didn't realize they have dresses and that dress looks super comfy!! And warm! We hardly ever get snow in Georgia. I like to get one day of it and that's enough for me. 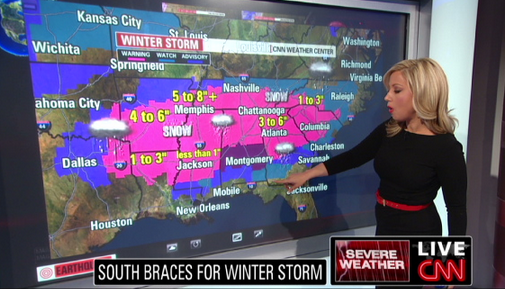 I don't know how you guys do it in the north, but then again, maybe it's because everyone is crazy down here in GA and they shut everything down- so it's annoying to have more than one day of it. I was hopeful for a little snow except it was in the 70s here this past week. We'll see!